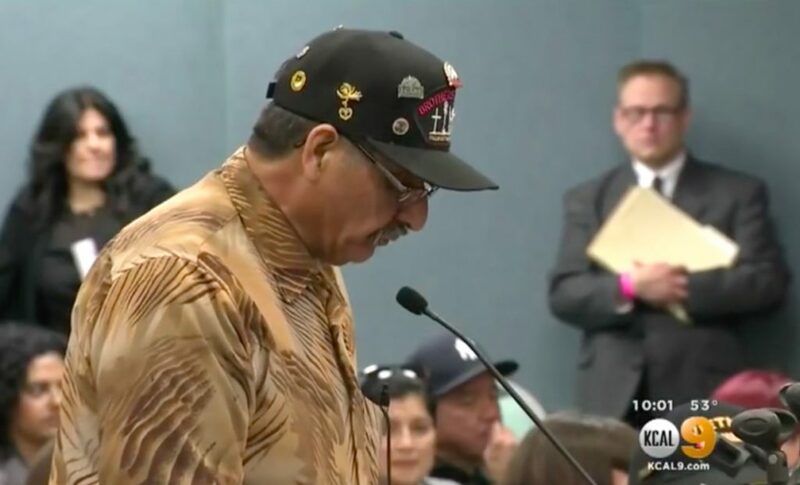 High School teacher and Pico Rivera City Councilman Gregory Salcido made headlines in January after being caught on a tirade in class railing against the military and singling out a student for wearing a “Marines” sweater. Two months later, Salcido has been fired from the school. The Los Angeles Times reports the El Rancho Unified School District voted unanimously Tuesday to fire Salcido from El Rancho High School. Salcido was a history teacher at the school.“The classroom should never be a place where students feel that they are picked at, bullied, intimidated,” Board of Education President Aurora Villon said. He also compared the tradition of family members serving in the military to beating one’s spouse. During city council meetings, veterans and regular citizens ripped into him and called for him to resign. Salcido did apologize for the way he said his opinion, but continues to believe the military is not the best path for his students to take. He also has refused to resign from the Pico Rivera City Council. If he refuses to resign them hold a recall election. He should also lose his job at the school. Apparently this liberal kook doesn’t realize the military provide a stipendium for those who first enlist in the military and then go to college. Then there’s also colleges ike West Point, Annapolis and the Air Force Academy all which offer top of the line education FREE OF CHARGE. Not to mention not everybody in the military is a combatant. how do these idiots get their positions? his is not just an opinion but a vendetta against the people who have died for their country, so jerks like this can live in peace. there should be no second thoughts. can him.